Every Friday is pizza day at my daughter's elementary school and hundreds of empty pizza boxes end up curbside. All that cardboard must be great for paper recycling, I thought. Turns out that the grease and food stains in the cardboard renders it useless. In fact, it can cause a whole batch of the slurry (paper products mixed with water during the recycling process) to be ruined. If you cut or tear out the soiled portions of the box, you can recycle the clean cardboard (in many municipalities) and box lids are usually unscathed. But some municipalities have found there are too many soiled boxes that they simply ban all pizza boxes. The paper products created from these ruined batches are laden with spots, holes, and contaminants. Machinery can also be damaged - so for some recycling depots, it isn't worth accepting pizza boxes in any condition. Considering the extra costs (labour, machinery) of sorting through good boxes vs. bad boxes, I can understand that decision too. Hmmm, that's too bad - especially since every year over 3 billion cardboard pizza boxes are thrown away. That's enough pizza boxes to circle the earth 3 times. So what are some answers? Every pizza box I've seen has the recycle symbol on it. Well, depending on where you live, they can go into compost bins or along with yard waste. 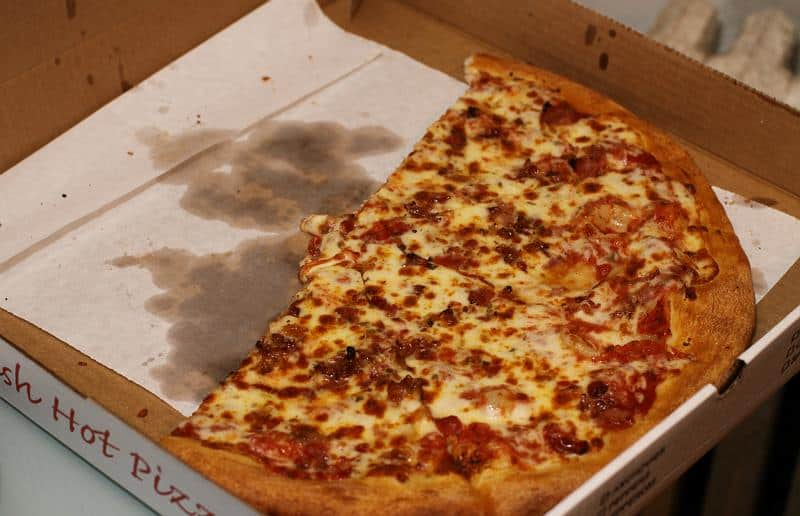 Yet in an article by Earth911, titled The Pizza Box Recycling Mystery, Terry Gellenbeck, City of Phoenix solid waste analyst warns, "With oils, you shouldn't compost [greased cardboard]. It causes rotting, you get more bugs and smell and it's just not good for the plants." Now I'm feeling really torn. Perhaps I'll just eat the soiled cardboard too (I thought). Problem is that yard waste (in my area) is only collected twice a month - during the summer. What's more, no biodegradable or compostable plastic is allowed in yard waste. So there's no storing them in compost bags to contain any smells that would attract vermin between pick ups. On second thought, it might not be a bad idea to make pizza day coincide with yard waste collection day. Not sure we could get everyone on board to time that just right, though. Either way, the lesser of all evils appears to be putting the soiled box (or portions thereof) into your compost bin or out with your yard waste. 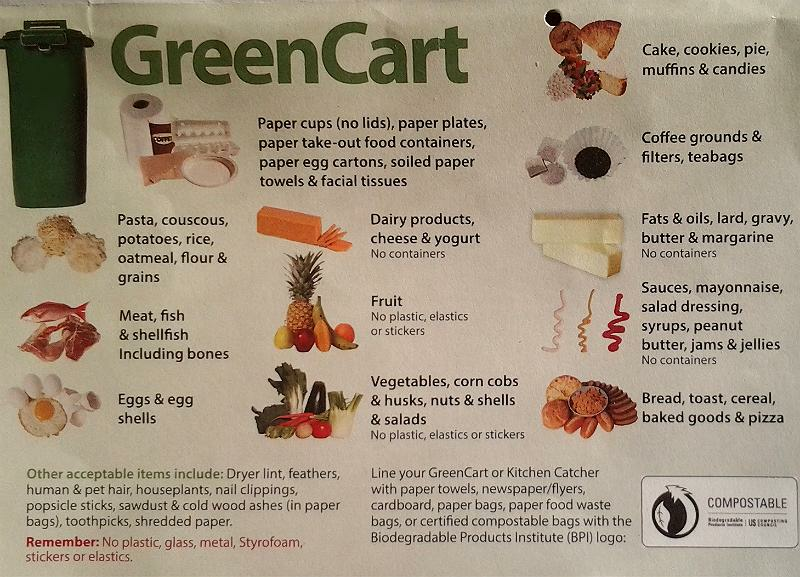 You do need to check where you live since the GreenCart in my city is the Black Box in Ottawa and the Blue (Recyclables) in Guelph. Hmmm, what if you're colour blind? Are there totally recyclable pizza boxes? "In college, we didn't have any plates in the house; I lived with 30 other guys. 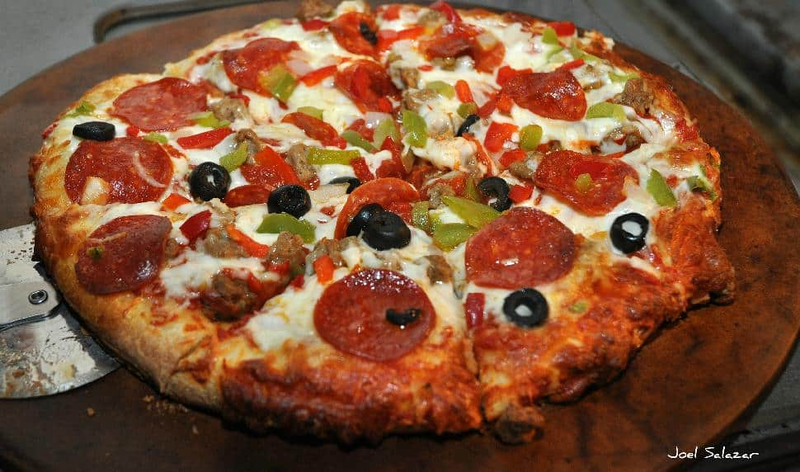 We started with just tearing the top off the pizza box off and using it as plates." I was so impressed when I viewed this next video (only 47 seconds long). Check out how it also morphs into a storage container for leftover pizza (I can never get a large box to fit in my fridge). What about lining the pizza box? 1) Find out if aluminum foil is accepted as a recyclable in your area. If so, ask if it needs to be free of any food stuck to it. (Some places will only accept clean foil). 2) Ask your pizza shop to line your box with foil - if they have it. For large orders (such as schools) they might wish to charge extra (totally understandable). Are you willing to pay extra for foil-lined boxes? And will the kids complain if the pizza seems a little soggier? 3) Are you willing to clean the foil before putting it out for recycling? Recycle a Pizza Box? Here's how! StitZii liners have oleophilic (oil-absorbing) layers which also act to remove added fat from foods. In fact, they claim to "remove 50 calories per slice of pizza." They also leave the pizza box unsoiled so it can be recycled. Sounds like it might keep pizza less soggy than aluminum foil. 1) The StitZii is NOT an edible product. Do not chew, ingest or swallow any part of this product. Discard after each use. Where? In the garbage? Compost? Yard waste? Augh! 2) Do not cook at temperatures above 450 degrees. DO NOT PLACE IN OVEN. Well, I'd imagine one must be careful about food that is 450 F or over and what happens if food over that temperature is placed on a StitZii? We are evaluating a partnership with ENSO Plastics in an effort to create future biodegradable and compostable versions of our flagship StitZii products. We hope to one day create a product that’s 100% eco-friendly. 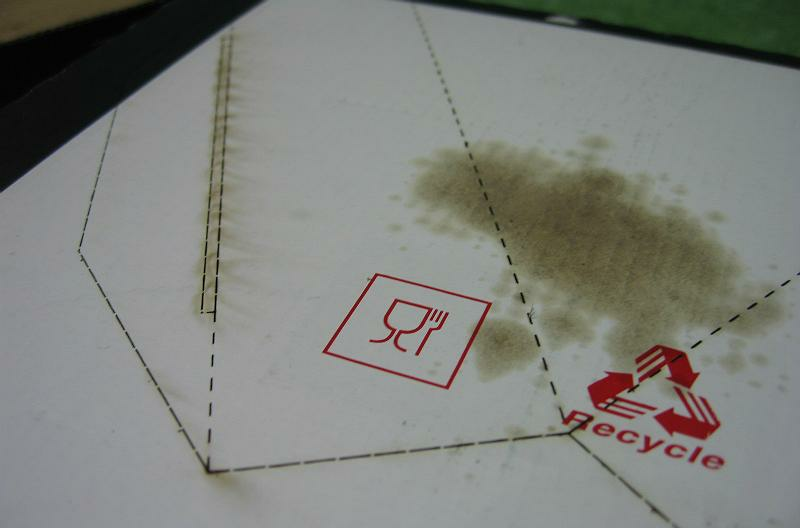 According to Interpack magazine, a new virgin fibre-based material is replacing recycled paper pizza boxes in Germany. Two major companies, Lieferheld and Lieferando, are making the switch and it will cost them more. Why the change? Purportedly, there were (are) concerns about the purity of recycled packaging. During the 2012 Christmas season, Stiftung Warentest (a consumer testing organization) found mineral oil residue in chocolate that had been packaged in recycled cardboard. Doreen Huber, COO at Lieferheld, stated the change in packaging was a precautionary measure. Who makes this virgin fibre-based material? BillerudKorsnäs which has a head office in Sweden. Their pizza boxes are FDA and BfR (Bundesinstitut für Risikobewertung) approved for contact with food. Bottom line: It would appear that it's important to keep recycled paper products as pure and clean as possible. In my mind, since pizza is cooked at fairly high temperatures, it could definitely alter any material(s) it comes in contact with - particularly when pizza is just out of the oven. Human health is a prime concern, as well as our need to continually find ways to safely recycle or compost soiled cardboard. The good news is there is no shortage of people trying to invent a better pizza box. Will Walsh, CEO of E.C.O. Inc., discovered there were over 150 pizza box patents.